To be a private society of quality and exclusivity that the members appreciate and value through the “Ambassador of Scotland” – Whisky. To build the relationships between Scotland and the Principality of Monaco through cultural exchange. To practise and to promote social responsibility with regard to alcohol. To encourage a positive lifestyle and the arts in young people from the Principality or Scotland by means of individual sponsorship. We will run a season of events starting in September of each year. Individuals personally recommended by you will be invited to apply to an independent board to become a member. Our aim is to keep the society exclusive and private. We shall have no press or publicity at our private Society events, and member lists will be kept strictly confidential. We will not accept sponsorship for the season of Whisky tastings and cultural events unless it is fully supportive and consistent with these values. We will arrange some beautiful evenings for you to come and relax and enjoy each other’s company in privacy in some of the most beautiful and historic surroundings. Your interest in Whisky and Scottish heritage will take you on a journey of knowledge and fun. 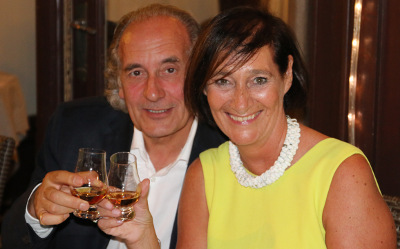 The Monte-Carlo Whisky Society wishes to encourage those adults who choose to drink to do so responsibly, and to discourage the misuse of alcohol. The Society also respects those who choose not to drink alcohol, and recognises abstinence on health or religious grounds. The Society has adopted the Social Responsibility Code of Practice of the Scotch Whisky Association. Our objectives are to secure the responsible promotion and enjoyment of Scotch Whisky in Monaco by encouraging its consumption in manner which is compatible with a balanced and healthy lifestyle.